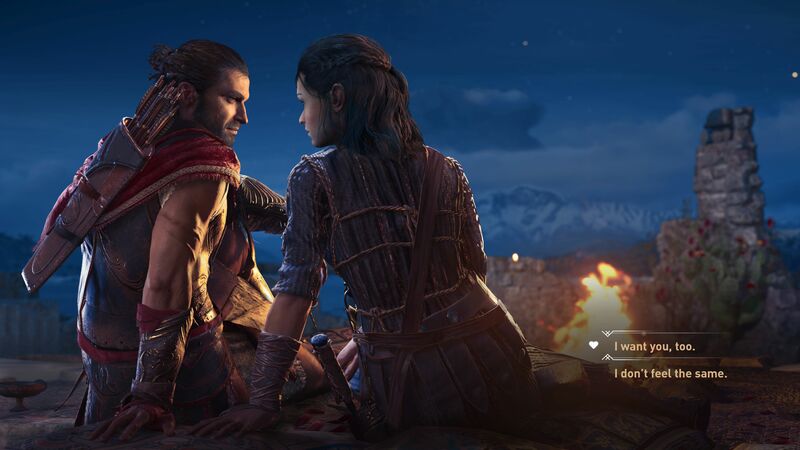 Ubisoft revealed Assassin’s Creed Odyssey in the days leading up to E3, and fans can expect to explore Ancient Greece with two characters to choose from. You can play as a male or female Spartan, and it will feature RPG elements including romance options. As for fans of the Assassin’s Creed music, now you can hear the main theme music from the upcoming game from composer and producer duo The Flight (Horizon Zero Dawn), which consists of Joe Henson and Alexis Smith. “Legend of the Eagle Bearer” is the name of the track. In an interview with Variety, The Flight has mentioned that the music will use instruments close to those from Ancient Greece. Nerd Reactor had the chance to check out an hour demo of the game during E3. From what we’ve experienced, it will add lots of new RPG elements like romancing supporting characters and dialogue choices that will affect the outcome of the story. I felt quite overwhelmed when Ubisoft allowed me to play freely, with all types of missions being available all around me. You can read all about it here. Assassin’s Creed Odyssey will be available for the PS4, Xbox One and PC on October 5th, 2018.